Among the many many things that social media has given the digital age (I'd almost consider that statement laughable, but it really has given society a baseline for interactions, personal achievements, and an omnipresent network of connections), the most fundamental of which is a standardized way to present yourself to the world. Profiles mean a lot nowadays, whether professional, like LinkedIn, or expressive, like DeviantArt. A profile can be the determining factor in a person's job eligibility, or act as a tool for scoping out potential friends/lovers. If we're talking about a social media baseline, Facebook defines it. Though not quite as popular as it was in its heyday, Facebook has set the tone for internet culture from as early as 2005. In their quest for digital dominance, they've bowled over smaller companies to stake a rightful claim at the top of the food chain. As such, assimilation by mergers and acquisitions have helped to construct the formidable backbone that makes Facebook such a domineering force. When unable to buyout, adopting others' ideas is the next best option. Facebook has been working towards making your profile pictures more interesting by integrating Snapchat, Vine, Boomerang, and other video-sharing apps into their website. Facebook's Profile Expression Kit allows people to share photos and videos from third-party apps to their profile video flow. A profile picture, your chosen representation of yourself, can be so much more than just an image thanks to the Profile Expression Kit. If you have a one-of-a-kind Vine that you simply must put up, add it on. It will appear on your profile video flow along with any other photos or videos you've uploaded. This personalisation not only benefits those unique snowflakes among us; if you've created a photo-or-video focused app, submit it for approval. Once it passes the review process, photos or videos submitted to Facebook profiles that originate from your app will have a visible attribution tied to it. A link to download your app will appear in the News Feed. It's worth reading Facebook's documentation to understand what is expected. During its early stages, the software development kit (SDK) was available to beta partners for iOS versions of their apps. 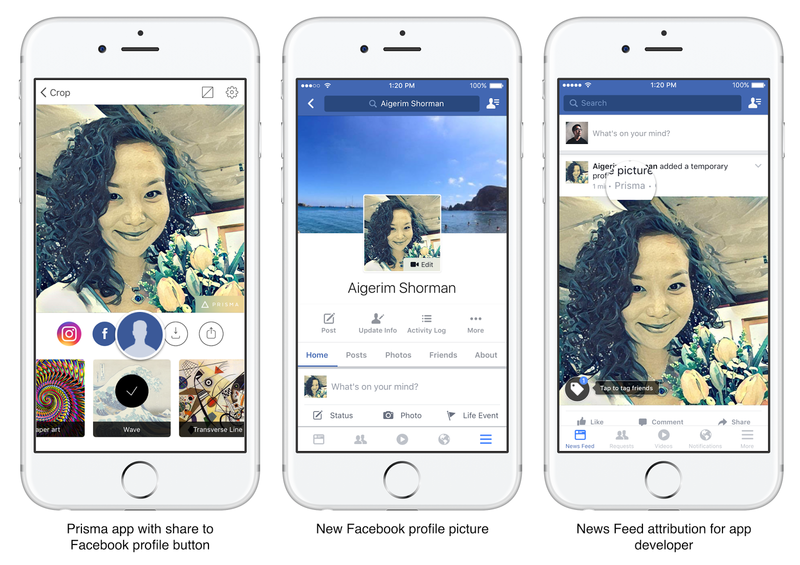 Announced at Facebook's F8 conference, the Profile Expression Kit was first approved for use by MSQRD, Boomerang, lollicam, BeautyPlus, Cinemagraph Pro, and Vine. The SDK was made globally available to developers on 22 Sep. According to Facebook, an appropriate app must "have the primary purpose of creating and editing photos or videos, ... encourage people to take selfie photos and videos with the front-facing camera, ... not include ads or commercial content, such as logos and watermarks, in photos and videos."